If you’re struggling with a lot of restless nights, no doubt some of the advice you’ll hear is about your sleep hygiene — good nighttime habits and changes to your environment that you can help you sleep better. While sleep medications and sleep supplements require a consultation with your doctor, sleep hygiene is simple strategy that you can take into your own hands immediately. Sleep hygiene involves creating an inviting, restful environment — a dark, relaxing, cool room free of distractions and artificial light. It also involves creating good habits, like winding down at the same time every night and finding solutions that help to relieve anxiety and get you into a sleep mindset. Thankfully, there are plenty of tools for better sleep to help you revamp your home and habits. You can find sleep gadgets at as high of a price point as you’re willing to pay, but the real beauty is that just about any of them can also be purchased for less than $50, and some are even free or close to it. Research and surveys have consistently found that money is one of the biggest stressors keeping people up at night. But, with a few of these small investments, you can start creating a sleep-friendly home right now. Light — or lack thereof — is one of the most important factors that affects your sleep. Certain cells in your eyes tell your brain whether it’s day or night, and too much light after sunset can make those cells think it’s still daytime. Blackout curtains are the easiest way to create an environment in your bedroom that will tell your brain it’s night and time to sleep. They come in just about any color you could ask for. Plus,they’re extra-thick, so unlike gauzy curtains, they’ll do just what their name says and create a blackout in your room so you can get better sleep. 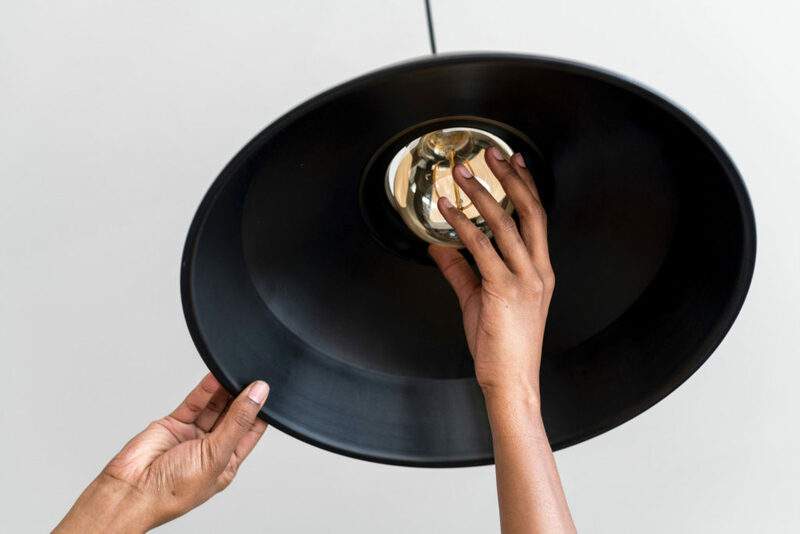 Sometimes, of course, you’re going to have light sources inside your room: maybe your partner’s phone blinks all night, your roommate likes to have the hall light on, or you’re particularly attached to your digital clock. Eye masks are more than Holly Golightly cute — they’re easy solutions for blocking out light that you can’t banish with curtains. You can get a soft, satin eye mask if you want to go for comfort, or if you’re uncomfortable having something pressing on your eyes, get a raised foam eye mask. Some people can sleep through just about anything, but for others, the sound of traffic, their spouse snoring, or a ceiling fan shifting back and forth all night is enough to keep you wide awake. White noise, a sort of soft static sound, hits the frequency your ear is most drawn to at a low volume to keep your attention away from noisy distractions. A fan favorite is the Marpac Dohm, which allows you to choose the tone and volume of your white noise, making it a truly customizable tool for better sleep. If you keep your phone bedside, you may wantt to spring for a white noise app. The aptly-titled White Noise allows you to pick from forty noises, plus it has gentle alarms for an easy morning and a mixing board in the paid version so that you can tailor your sleep sounds. Pair it with a bluetooth speaker, or with headphones (in case your partner isn’t a fan). It can be rough trying to sleep with ear buds in, between pads sliding just a little too far into your ear and getting tangled in cords. Fleece headbands with built-in speakers, like these super-affordable Cozy Phones, solve all of those problems so that you can sleep soundly. Your eardrums will thank you! If you prefer soundless nights altogether, ear plugs are a tried-and-true method to block out noise. 3M E-A-R ear plugs are not only designed for loud environments and well-reviewed by people in such professions as dog grooming and industrial manufacturing, they’re affordable as all get-out — one $25 pack of 200 ear plugs can get you many nights of noiseless sleep. One very simple, cheap, and handy tool for better sleep is a weatherstrip, a strip of high-density rubber foam that’s easy to install around your doors. It’s meant to prevent drafts on the outer doors of your home, but if there’s a lot of noise outside your bedroom when when you’re trying to sleep, you can install it around your door, too. Added bonus: It’s easy for even the least handy among us to install, meaning you’ll head to bed with a sense of mastery, too. Research on aromatherapy has shown promising results for reducing anxiety and improving sleep quality. Lavender essential oil in particular has science-backed efficacy for helping people sleep better, but in one study researchers used a blend of lavender, chamomile, and neroli with impressive results. Put a few drops on your pillow, or, if you have sensitive skin, lightly soak a cotton ball and keep it close by. Another way to get the benefits of aromatherapy is to use a reed essential oil diffuser. 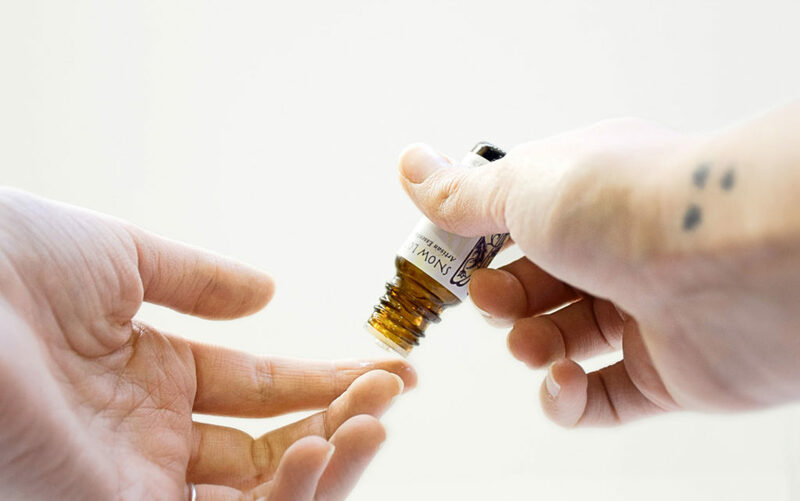 Reeds pull essential oils from the bottom of the bottle into the air, where the oil evaporates, leaving a subtle, long-lasting scent in the room. You can buy pre-mixed reed diffusers, or if you’re a DIY-er, you can get bottles and reeds to mix your own scents and try one of these recipes for essential oil blends. Yet another option for aromatherapy is pillow mist, pre-mixed blends of essential oil that you can lightly spray on your pillows and linens. This mist from Eunoia Naturals combines lavender and calming chamomile. As a similar alternative, if you love Ms. Meyer’s home products, you can also drop by just about any big-box store and get their lavender room mist. Who wouldn’t want to lay down to a sweet-smelling bed — or in a nice-smelling room? Humidifiers have a number of benefits for sleep: They help to moisturize hairs in the nose so that they can move freely and filter out bacteria, they prevent dryness that leads to irritation in your nose and throat, and they alleviate snoring — which will be great whether you’re the one sawing logs or your partner’s snoring is keeping you awake. As an added bonus, you can put a few drops of essential oil in the water before you turn the humidifier on, and some humidifiers produce a faint, soothing white noise. You can find humidifiers at just about any price point, but this super-chic wood-patterned humidifier looks like a vase and would blend into just about any design style for under twenty dollars. Even though the sun is yellow, sunlight is blue — as is the light emitted by most light bulbs and electronic devices. Blue light produced by electronics and other light sources can mess with your health, tricking your brain into thinking it’s still daytime and preventing you from winding down for sleep. To counteract its effects, fit your lamps with amber light bulbs, or with Edison bulbs, which also produce a warm color. Amber light mimics the effect of candlelight, which will create an ambiance that’ll help to ease you into sleep. The claims that salt lamps purify the air or provide health benefits otherwise have been thoroughly debunked, but that doesn’t stop them from being both a very cool piece of home décor and a way to create a dim warm light in your home. You can get the column lamp you’ve probably seen before, or use salt lamp nightlights in your hallways and bathroom to create a restful back-to-sleep environment even if you wake up to use the restroom at night. Most phones and tablets have a “Night Shift” feature that regulates the color of the light emitted from devices these days (check your display settings if you haven’t already), but some computers don’t. Thankfully there’s f.lux, a free desktop program that automatically controls the color of the light your computer emits based on the time of day and the schedule you input for it. Now, even if you have to work at night (or, you know, check your social feeds), you can still get a good night’s rest. 15. Curved memory foam pillow. If you experience neck or spinal pain at night, it might be time to reconsider your sleeping position and your pillow. Sleeping on your stomach is rough on your spine, since it causes you to arch your spine and keep your head turned all night. Sleeping with too high a pillow can keep your neck bent forward, causing aches in the morning, but a pillow that’s too low won’t provide enough support for your cervical spine, the part that’s in your neck. Cervical memory foam pillows give your neck plenty of support, whether you’re sleeping on your side or your back. An extra bonus is that most have both a high and low bump so you can use whichever is most comfortable for your neck, but they come in a variety of other supportive shapes as well. Wouldn’t it be nice not to worry about which is the “cool side” of the pillow? Temperature is one of the most important factors for good sleep, and sleep scientists at Harvard recommend keeping your home between 60 and 75 degrees Fahrenheit. If fans and air conditioning don’t quite do it for you, it might be worthwhile to invest in a pillow with built-in cooling gel. This two-pack of gel-lined pillows is also hypoallergenic, and reviewers rave about how comfortable they are. Your home will keep the gel cool all day, and by the time you lay down to sleep, your pillow will be nice and refreshing for your tired head. 17. Cooling Tencel mattress protector. And then, of course, there are the truly overheated of us, the people who either just can’t get cool or happen to live in Texas. In that case, it might be time to get a mattress protector that contains Tencel, a fabric made from cellulose found in wood pulp that’s soft, strong, absorbent, wicking, and breathable. To give you an idea of how good it is for the sweatiest among us, it’s been used in athletic wear since the nineties, and if you happen to be environmentally inclined it might please you to know that it’s also considered a sustainable fabric. Mattress protectors with tencel promise a night of cooler, better sleep. 18. Pregnancy pillow – even if you’re not pregnant. Pregnancy pillows are like the superhero version of body pillows. They’re shaped like a tight “C” to curve around the shoulder and under the head as well as between the legs to provide support on all sides of the body. It’s especially great if you have a weighted-down pregnancy belly, but it feels a little bit like your pillow is giving you a nice, big hug. Former pregnant folks report using them even after they’ve given birth because they’re such a helpful tool for sleep, but watch out — everyone in your family might want a turn with it. 19. Herbal and green teas. Beyond providing warm comfort at the end of the day, science backs up the use of herbal and green teas as tools for better sleep. Chamomile has shown promising results in one small study, where subjects reported decreased anxiety. Green tea is the only food in the human diet that contains high levels of L-Theanine, an amino acid that research patients said helped to produce a feeling of relaxation. And if you’re feeling particularly DIY, you can always whip up a batch of banana tea by cutting the ends off of a few bananas and boiling them, peel and all. Bananas contain tryptophan, which helps your brain to produce the sleep chemical melatonin, as well as magnesium and potassium, which act as natural muscle relaxants. Fans of weighted blankets say that they reduce anxiety at night, which researchers at the State University of New York say is strongly associated with poor sleep. Weighted blankets contain different amounts of plastic pellets — usually between four and twenty pounds — that make the blanket heavy, giving you the feeling that you’re being hugged (a little like a thundershirt for anxious dogs). Weighted blankets can be pricey, historically costing at least $120, but thanks to their growing popularity some great deals are available — this fifteen-pound blanket is just $50. 21. Leg cushion for side sleepers. If you like to sleep on your side, you might be familiar with the knee, leg, and spinal pain that can accompany your preferred sleeping position. Side sleeping poses a few problems. It keeps your knees knocking together all night, for one, but more importantly, having one side of your body flat on the bed forces the other side to curve over, throwing your spine and hips out of whack. Leg cushions designed for side sleepers keep your top leg elevated so that your hips are aligned and your spine stays straight, relieving the pain that can in turn keep you up at night.